Manufacturer of a wide range of products which include acp sign board and led with acrylic sign board. 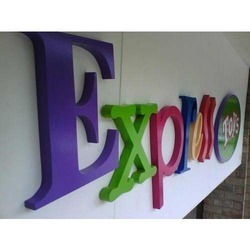 We are the leading manufacturer and dealer of ACP sign boards. ACP Sign Boards We manufacture and supply ACP Signs Boards, which are made of usage of quality materials. These are provided with sophisticated technology available in different sizes, shapes and colors as per specifications mentioned by clients. Our range possesses graceful appearance in advertisement of company, which promotes business. We are looking only for local queries. Looking for LED WITH ACRYLIC SIGN BOARD ?